Lisinopril tablets treat high blood pressure and congestive heart failure. 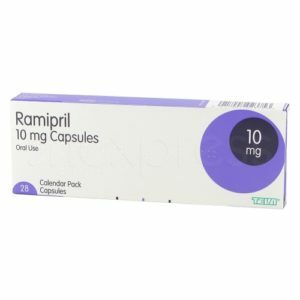 Lisinopril is also known as the medication Zestril. 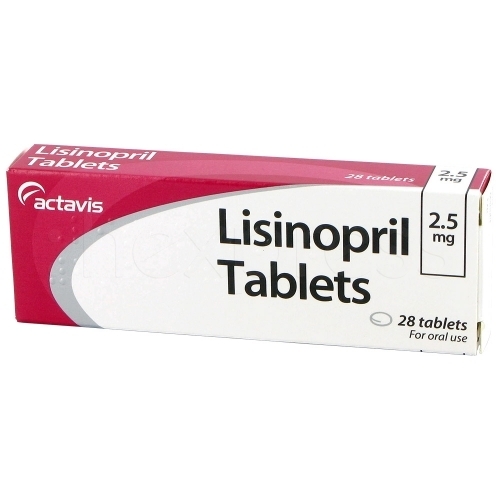 Lisinopril prescription medication is part of a group of medications called ACE inhibitors. ACE stands for angiotensin-converting enzyme. They work to inhibit the angiotension-converting enzyme, reducing the blood pressure by loosening blood vessels and reducing the amount of water re-absorbed by the kidneys. Lisinopril can also help survival rates after experiencing a serious heart attack. The medication helps block this enzyme, which is normally part of a reaction in the body that causes the blood vessels to become restricted. By stopping this enzyme, it relaxes the blood vessels and in turn will reduce high blood pressure. By helping blood vessels relax, Lisinopril also increases the efficiency of the heart. This means that the heart does not have to work as hard and more blood can be pumped out to the rest of the body. Both of these are helpful for a person with congestive heart failure as well as high blood pressure. Lisinopril comes in a tablet form and only one tablet is taken daily with or without food. Lisinopril is available 2.5mg, 5mg, 10mg or 20mg strengths. Follow the directions by your doctor as the dose may change depending on the condition you are treating. All medicines do have side effects associated with taking them, however not everyone will suffer from them. Keep in mind that the benefits of taking medication to prevent a serious condition are more important than some minor side effects. Most side effects usually only last 1-2 weeks when taking a new medication. All medication will come with side effect information from the manufactures. It is also best you talk to your doctor if you have any concerns as they maybe able to change the dose you are currently taking or change medications if you are not seeing any results. 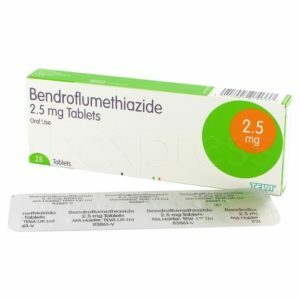 How do I purchase Lisinopril online? First you need to obtain a valid prescription through an online consultation to purchase Lisinopril, as it is a prescription medication used to treat high blood pressure. This is a free consultation that will only take a few minutes from the comfort of your home. This replaces the face-to-face consult you would normally have with a doctor. Once you have been approved Lisinopril will be sent out to you as soon as possible. Blood pressure was constantly 170-190 over 90-125. My Dr. prescribed lisinopril and immediately my b.p. has returned to normal of 120-130 over 70-80. Only side effects is sometimes a light dizziness if I stand up to fast. Lisinopril barely kept my blood pressure in the good range for both diastolic and systolic with my numbers being higher almost 40% of the time with twice-daily monitoring. Additionally, the medication caused a nasty cough that disappeared after I switched medications. I have had migraines 30 years. I usually have 4 to 5 days out of the week that I have a migraine. I have had 6 in 3 months and they have been controlled by zomig. For the first time in most of my life I can actually live normally. I have been on Lisinopril hctz 12.5 – 10 mg for a week with no reduced bp. Dr increased to 20 mg second week. It now makes me dizzy, weak & sleepy after about 30 mins taking it. Seems my bp has dropped a little after 2 days of increase but I don’t feel good after taking it. I go back for a bp check this week..not sure If to stay on the higher dose??? Pharmacy is OptumRx. Last bottle showed Solco HC as manufacturer and pill was as shown on the Solco site. New bottle shows manufacturer Solco and pill is white and round. Stamped with 4214 and a stylized V on the reverse. Web search shows this as manufactured by Vintage Pharmaceuticals Inc. Did Solco buy Vintage? Did OptumRx make a labeling mistake? I had extremely high blood that my Dr. tried first HCTZ (hydrochlorothiazide), which is a diuertic, that didn’t touch it, then atenolol, which helped but it was the added lisinipril that FINALLY got it down. Been on it now for 15 years. Recently my mom and her health problems made me more aware of my own and I talked with my doc about lisinipril. And read up on it. It is not metabolized by the liver like I originally thought which gives my liver a break. It isn’t actually metabolized at all and is excreted wholly thru the urine. 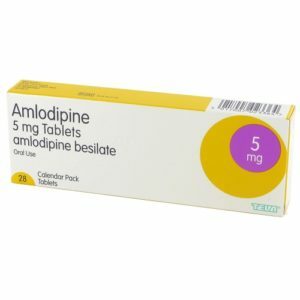 I have had NO side effects in all of the years I have taken it and it has kept my pressure under control without any additional increases in dosages. It is also covered by most insurances and is very cheap. I highly recommend this medication. I have been taking Lisinipril for some time. Lately I have been having severe spikes and dives in readings. I called my doctor, she said to half the pills to raise my BP since I passed out twice in 3 hours in my apartment. I went to see her and could hardly drive, I was ready to pass out a the wheel of the car. When I got there my BP was 100/50. It is a miracle I made it there. So since halving the pills did help, I had to ask her to allow me to stop altogether the pills. My BP is now back to normal. It could have hurt me if I had not stopped taking it. I started Lisinopril because my blood pressure was a little high. The first thing I noticed after a week was that I had not had ONE migraine in that time. Usually I suffer 2-3 a week and sometimes much more. I am no longer planning my life around migraines! Lisinopril has cured my migraines.